Teymour Shahabi was born in Paris of Persian parents in 1985. He moved to the United States to study Comparative Literature and Mathematics at Harvard University. He lives in New York City where he’s spent the last few years among serious professionals, many of whom probably prefer to read nonfiction. The Secret Billionaire is his first published book. You can watch him try to figure out writing and life at http://www.facebook.com/Teymour.Shahabi. 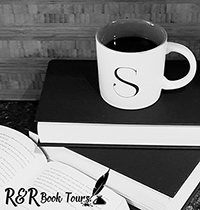 Thank you to Sage’s Blog Tours to be part of this tour. You are very welcome. Same to you.